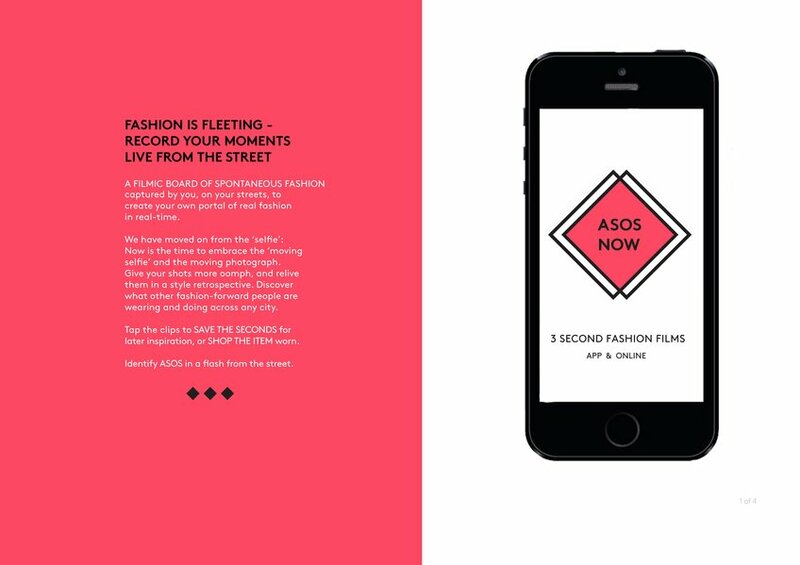 ASOS NOW is a filmic board of spontaneous fashion captured by you, on your streets, through a portal of quick, real fashion in real-time. 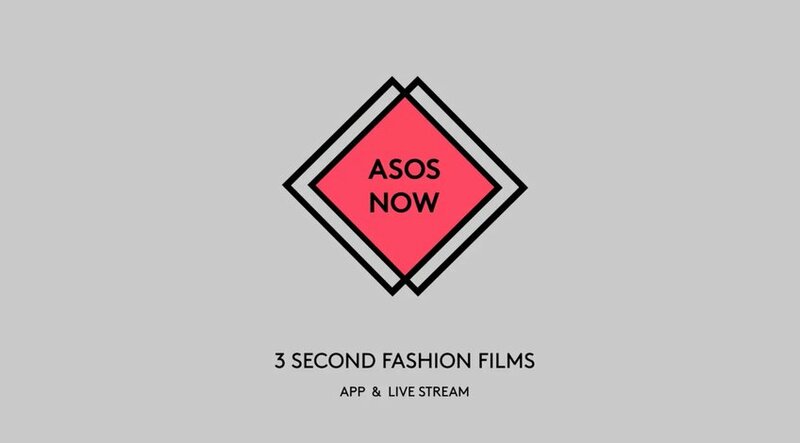 Recording moments in your day in 3 seconds via the ASOS NOW app, and then stream it live. Now is the time to embrace the ‘moving selfie’ and the moving photograph. 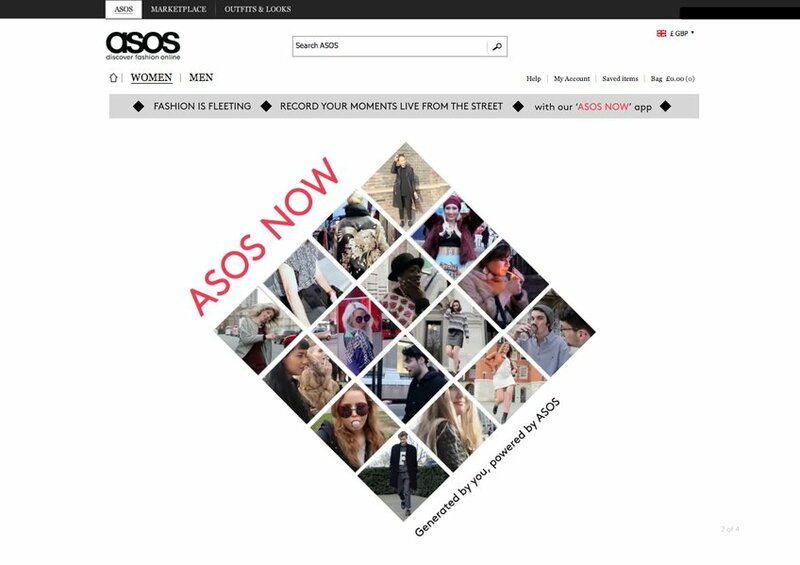 Parade your ASOS pieces proudly and discover what other fashion-forward people are wearing and doing across any city. 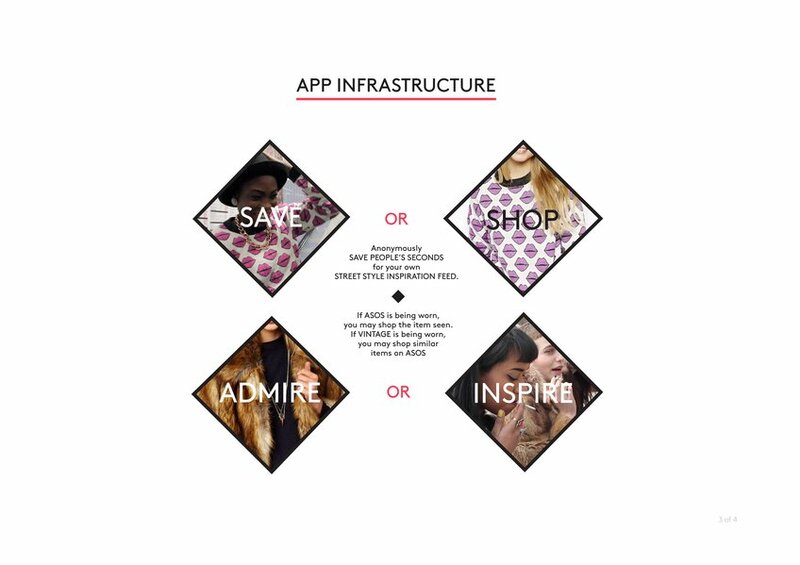 Tap the clips to save other people's seconds for later inspiration, or shop the item seen. 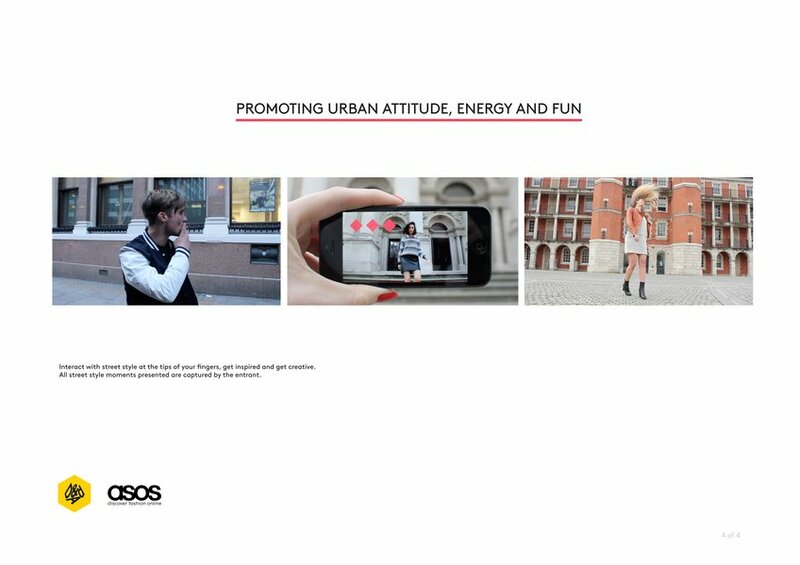 Promote ASOS urban attitude, energy and fun.